Trevor -- Internet talk has been abuzz over both Greg Land and Greg Pak's teaming on Phoenix: Endsong. What are the chances of seeing this team-up once again? What is your reaction to how their mini turned out in both sales and your own personal reaction? Michael Marts -- I think it’s safe to say that PHOENIX: ENDSONG is one of Marvel’s early success stories for 2005. I mean, we all knew that an X-Men story revolving around Phoenix would sell fairly well. And it doesn’t take a dummy to figure that Greg Land’s debut project for Marvel would be a hit. But when we received the sales figures—WOW. Everyone was pleasantly surprised. Greg Pak’s solid and suspenseful writing was the perfect match to Greg Land’s dynamic and realistic artwork. And really, the story just speaks for itself. The original Dark Phoenix Saga is far and away the most popular X-Men story ever told, and we all knew going in that attempting another PHOENIX project of this magnitude (25 years later, no less) would be a monumental task. We had several goals that we wanted to hit—first off, we wanted to pay tribute to the original story without disrespecting or contradicting the classic tale. Secondly, we wanted to do something fresh with the character and propel Phoenix in a new direction. These weren’t easy marching orders, but Greg Pak took his job seriously and really has to be commended for doing a spectacular job. He paid great respect to the extensive work that Chris Claremont, Grant Morrison and others had done before him, but still had the confidence to speak in his own voice and tell his own story—avoiding the obligatory “re-telling” of the Phoenix Story. As for seeing these two pair up again—well, anything’s possible. But for now, both Gregs seem to be quite busy on other Marvel projects. Greg Land is turning out some beautiful work on ULTIMATE FANTASTIC FOUR, and Greg Pak is keeping busy with HOUSE OF M: IRON MAN and the Marvel/EA team-up MARVEL NEMESIS: THE IMPERFECTS. Trevor -- Psylocke is a character with an extremely complicated history. Her death in X-Treme X-Men #2 was planned by Chris Claremont to allow him the opportunity to bring her back without some of those complications. Now that C.C. has finally gotten his long awaited wish what can we expect to see in the future from her? Michael Marts -- It’s no surprise that Psylocke is one of Chris’s—and my—favorite characters. I wasn’t working with Chris when Betsy bit the bullet in X-Treme#2, but I always thought that her death was handled extremely well (no pun intended) and that hers was one of the more meaningful death scenes in all of X-dom. That being said, when Chris and I started working on UNCANNY together a few years back, I was happy to hear he had an out! Psylocke’s resurrection was one of the first things we started working towards after X-Men: ReLoad, and to have her brought back to life by Alan Davis—the artist most closely associated with Betsy—well, that was just icing on the cake. Trevor -- One of my favorite characters is Juggernaut. Michael Marts -- Mine, too! Trevor -- How long do you plan on keeping this character out of the lime light? What can we expect from his return, if ever? Michael Marts -- The unstoppable Juggernaut makes his return in UNCANY X-MEN #460 and 461—both on sale in June—but he’s not quite the Juggermite we all know and love. Wait, did I say “Juggermite”? That’s all I’m saying for now. 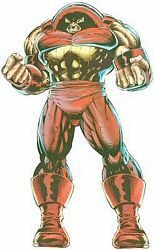 Okay, I’ll say one more thing—come November expect to see Juggernaut as a regular cast member in a yet-to-be-announced new title. Trevor -- New villains have been popping out of the wood works. Can we expect to see any of the old villains we knew and love? Michael Marts -- You bet—expect to see one classic baddie in a special X-Men limited series starring one of the ASTONISHING X-MEN cast members, on sale this September! (Am I being to coy?). And next year in X-MEN…no, maybe I shouldn’t say anything yet. Trevor -- Continuity in the entirety of the Marvel Universe has become a strong point for you and the other editors in Marvel. Why had Marvel gotten away from this aspect and why come back now? Michael Marts -- I wouldn’t say that Marvel ever got away from continuity of the importance of it, but for a few years we decided that it was imperative that we appeal to new readers. Our stories had been great and everything was clicking fine—but the opinion was that we were catering a bit too much toward our longtime fans and not enough to new readers who might be coming in off the street after seeing X-MEN or SPIDER-MAN for the first time at the movies. And so we shifted our focus and strived toward making the books more accessible. This decision didn’t necessarily mean that continuity had to take a back seat, but it did mean that our focus was more on accessibility, fresh starts, and weeding out some of the complexity that had riddled our books for some years. That being said, I think our efforts to make the books more accessible to new readers was a success, and we’re now enjoying an era where our books are still attractive and easily digested by new readers, but aren’t afraid to embrace the continuity and history of our past. Trevor -- EXCALIBUR #12, NEW X-MEN #13, and ROGUE #10 are coming out this Wednesday can you give the fans a preview of what they can expect? Michael Marts -- EXCALIBUR #12 is an important book to pick up this week—the seeds for House of M are sowed aplenty in this issue—you won’t want to miss it! 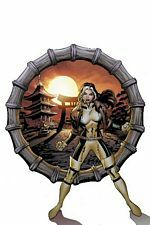 ROGUE features three longtime favorites—Sunfire, Silver Samurai and Lady Deathstryke. And NEW X-MEN pays special tribute to the recently fallen X-Man, Northstar. It’s an epilogue of sorts to WOLVERINE: ENEMY OF THE STATE.